Classic ballet is based on the wide opening of the feet, which gives a fascinating and elegant appearance to both leg and foot. This generally offers a wider and more stable base of support. But when the leg is unnaturally extra-rotated at the hip joint, the body is unbalanced, unless all muscle groups of shoulder, pelvis and column work synergically to produce a stabilizing effect. This postural change heavily alters locomotor strategies and patterns. 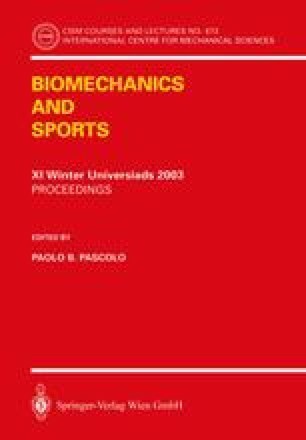 A lot of scientific papers have been published up to now, dealing with structural and morphological changes in dancers, and foot traumas. But little is known about eventual biomechanical consequences in performing daily locomotor activities. Aim of this study was to analyse a selected group of professional dancers while ascending and descending a step. Their dynamic and kinematic responses were then compared with those of a selected control group.